As fans of NCIS Los Angeles, we all have our favorite episodes that stand out and speak to us more than others. These are the episodes we love because of the moments they give us regarding our favorite relationships, or the intriguing character development that comes with exciting and interesting plot twists that make an episode stand out in our minds more than others. These are the scripts that are watched over and over again and contain magical scenes with lines that are burned into the memories of fans’ minds forever. It’s easy to focus on the actors who give breath to these scenes, but we here at wikiDeeks would like to take a step back and focus on the writers for a change. They are the ones who write for Deeks and Densi the dialogue and moments that NCIS:LA fans cherish so much. This is the first in a two-part series in which we will touch on some of our favorite writers of the show and why their Densi-centric episodes are so special to us. In this first part we will examine two of the foremost Densi writers: Dave Kalstein and Frank Military. I think the most obvious first choice of many Densi and NCIS:LA fans for our favorite scriptwriter would be Dave Kalstein. He has been with the show since the beginning and has written many key moments and scenes in the Deeks/Kensi storyline as they have continued down their journey to something more than “just partners." 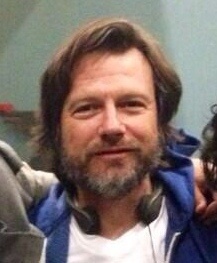 Kalstein is also responsible for episodes that really explore Deeks' character and give us insight into his history. While Deeks may be relied upon for comic relief on many occasions, there are times when he can show another side and have a completely different persona. Kalstein realizes the importance of not making Deeks overly silly. There are reasons why Hetty wants Deeks on the team, and Kalstein makes sure we know why in episodes such as "The Debt" where Deeks is forced to leave the team to go undercover without Kensi's knowledge. He effectively shows us what a valuable asset Deeks is and how Kensi struggles with her emotions when it comes to their partnership. Overarching the entire episode was the metaphor of the 'frozen lake' which is the reason why, according to wikiDeeks' Contributing Editor Diane, “'The Frozen Lake' was my all-time favorite Densi episode! It symbolized what was going on in Densi's relationship so perfectly." Ultimately, Deeks and Kensi both realize that they can slowly work their way across this frozen lake and are willing to work and fight for their "thing." To me, Kalstein really kept the characters true to themselves not only in the way they dealt with the aftermath but as they struggled to come out of their comfort zone and decide to move forward. It’s safe to say that when fans see an upcoming Kalstein episode, we know we’re in for a treat! One of the main turning points in the Densi relationship was the finale in Season 4 and the subsequent aftermath in the Season 5 premiere. 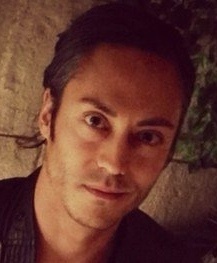 These episodes, “Descent” and “Ascension,” were both penned by Frank Military. In the finale, “Descent,” we witnessed Kensi and Deeks finally confronting their feelings straight on. It’s almost as if Military could hear the fans and was speaking for us. Kensi’s frustration over Deeks “never saying what he means” finally got it out in the open that these two definitely have something special going on. There was no more dancing around. Military did a great job of showing that actions really do speak louder than words when Deeks finally walks right up to Kensi and kisses her leaving no doubt as to what he wanted to say. Military followed up “Descent” with the action packed season opener, “Ascension.” The expectations were high and as Lindy points out, Military “doesn’t shy away from harsh reality” and he’s “not afraid to show that things can go wrong and the consequences the characters suffer because of that.” Military set things up beautifully for Season 5 and really gave fans some heartbreaking scenes between Densi. 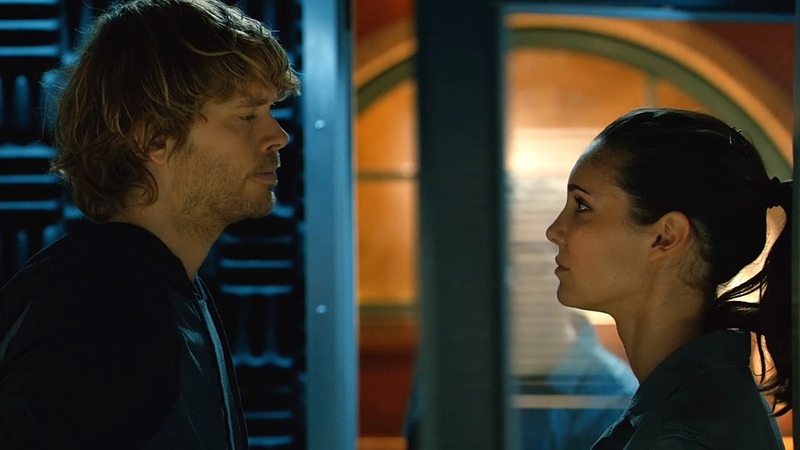 It was almost painful to watch Kensi have to tell Deeks that he needs to sit in the chair a little longer and at the end to hear Deeks admit to Kensi “that place I went to in my head to, uh, stop the pain, was you” pretty much broke all of our hearts. Military is also responsible for earlier gems such as “The Job” which, for Diane, was the episode “which made me fall in love with Densi. That episode made me realize Deeks loved Kensi, even if he didn’t know it yet. He was so protective of her in that episode. It was a turning point in their relationship.” Mel goes on to say how Military’s script showed that “not even a year into knowing her (Kensi) and his (Deeks) reactions when Kensi was in danger were so interesting and telling.” It seems that if there are serious situations that need to be dealt with when it comes to Densi then there’s no one better suited than Military. All we have to do is look at last week’s episode, “Spoils of War,” which will always be remembered as one of the best episodes ever written for Deeks. The raw emotions displayed on screen by all the characters during this episode brought the show to an even higher level of fan devotion. 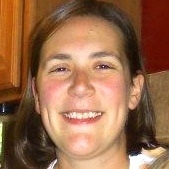 The script was an important next step in the Densi storyline. Let us know what your favorite Kalstein and/or Military episode is and why? Join in the conversation! Next week Dave Kalstein will join wikiDeeks for an exclusive interview with our writers as we ask him some hard hitting questions about Deeks and Densi and how he writes for these two characters in particular. In Part Two, we will also take a look at some of the other outstanding Densi writers such as Joe Wilson, R. Scott Gemmill, Gil Grant and don’t forget Shane Brennan. See you then! For Dave Kalstein’s episodes, I would say Plan B (S2 E22) is my favorite. 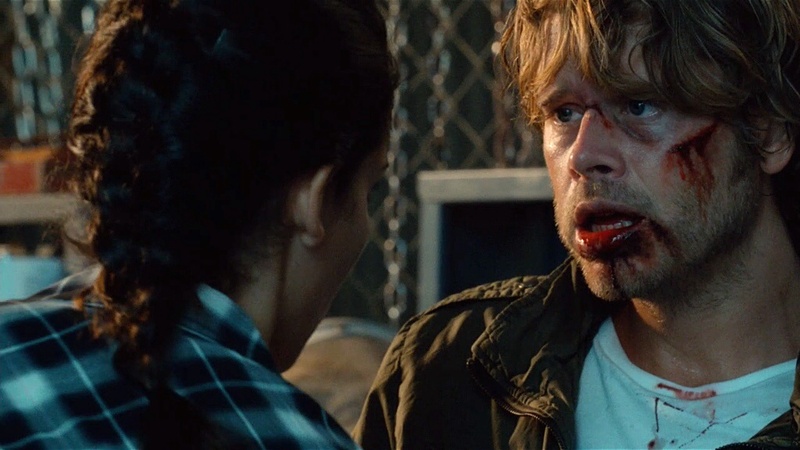 This episode seems to have given us the most information of Deeks’ dark past. Most of the time you get very little info on Deeks’ past and here you get a bunch to digest. Plus it also has the introduction of the alias Max Gentry! For Frank Military, I would have to go with The Job (S2 E20). 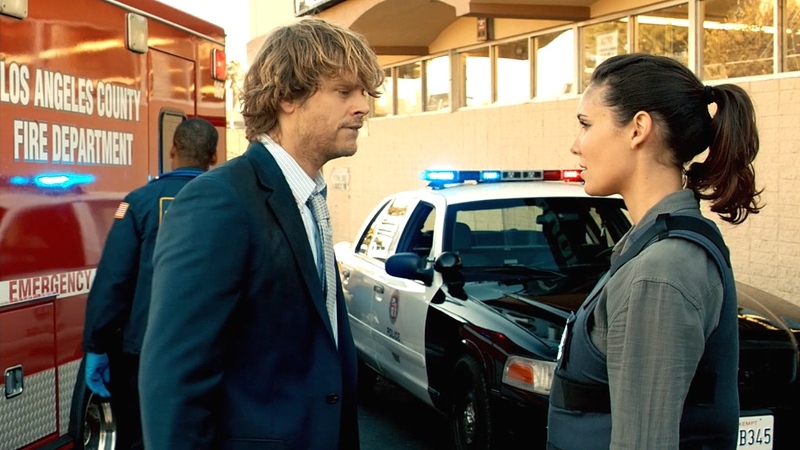 This episode shows how Deeks has quickly transitioned from a solo act (with LAPD) to a devoted partner looking to protect Kensi anyway anyhow. It also shows the first real after work interaction when Deeks shows up at Kensi’s home with beers, burgers, and a smoothie to make sure she is ok. The punch ruined Frozen Lake for me, and ruined what was left of Kensi for me as well. There were other moments as well – the way she criticized him during the Fern/Max scene when she should have been building her partner’s confidence before a dangerous undercover, her quickness to give up on making their relationship work. I loved Plan B, but when it comes to relationships and more specifically to Kensi, Kalstein is not on my list of favorite writers. I love Frank Military though. Good choice there. i agree for the punch . you dont punch a man who care for your safety sometimes kensi must react more like “woman” if you understand what i mean! When does Kensi criticize Deeks during the Fern/Max scene? They are discussing Deeks going undercover in a building that is a tactical nightmare, and he says it’s the only way, meaning the only way to get to Talita. Kensi responds that it’s the only way for Deeks to “redeem” himself for the hotel (not taking the shot) and Thapa (getting away with the thumb drive). Yeah Kenz, nice way to be supportive of your partner. Nope, don’t see the criticism there…. She inquires about whether or not Deeks is going into this dangerous assignment alone because he wants to redeem himself. She doesn’t like the plan because he’ll be in danger, so she was wondering if that was the reason he wanted to do it. You obviously deeply dislike Kensi though so I guess it’s pointless for me to defend her. Make sure you read our interview with Dave next week where he explains what was behind that punch! Very revealing! So happy to hear you got the sought-after response from Dave. Can’t wait to see it and share it with the entire fandom! Kudos, Diane!